We came across this photo of Simi and Adekunle Gold and we couldn’t help but share.It’s Thursday and another time to roll out an epic picture of your popular celebrity. 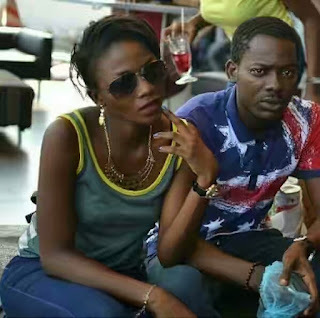 So, we came across this photo of Simi and Adekunle Gold back when the hustle was real and we couldn’t help but share. The duo have really come a long way and this picture just proves there might have been something between the two stars. 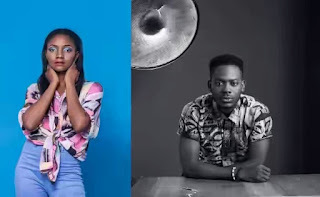 Just when we thought, the duo, originally from different labels, and chasing the bright lights of stardom and music progression stumbled upon their chemistry, this picture comes up. The duo have recently had to deal with rumours from the press, which claim that the music birds have taken their collaboration a step further and become lovers, with screen-love translating into real-love. On every corner they have been hounded with questions from reporters, sniffing for the scoop of their love life.